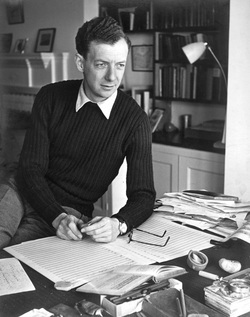 Benjamin Britten was born on 22 November 1913, which happened to coincide with the feast day of Saint Cecilia, Patron Saint of music. 100 years (and 2 days!) later, the choirs of Emmanuel, Wylde Green and Sutton Coldfield Choral Society celebrate one of England's greatest composers with a performance of the 1948 cantata Saint Nicolas, which dramatically depicts the life of the Bishop of Myra.